In a few weeks time we will be on our first family holiday. We are all super excited and have been busy saving up all those 2ps for the arcades, Jared has always enjoyed playing these when we have had a trip to the seaside. We have so much planned for when we are away that I can't wait to share with you. During our holiday we will be taking the kids swimming which I think is an activity everyone has to do whilst on holiday. Jared can swim but hasn't been swimming since his lesson's ended so I'm hoping he will be like a duck to water. Eryn on the other hand hasn't really been swimming. As Eryn is a non swimmer we needed to get her some armbands. 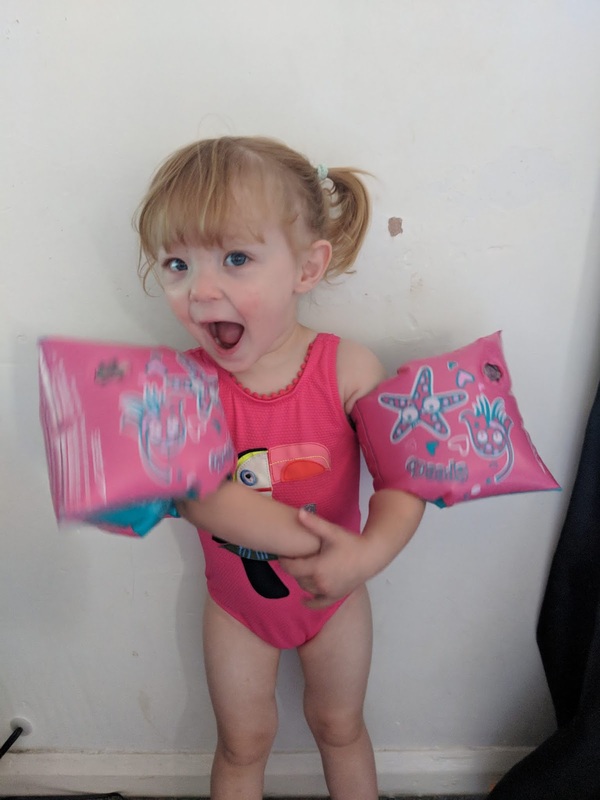 We went for the Sea Squad ones in pink from Simply Swim Uk. When I opened them I was surprised at how they felt, they have more of a rubbery feel to them compared to the usual plastic feel in past armbands that we've used. 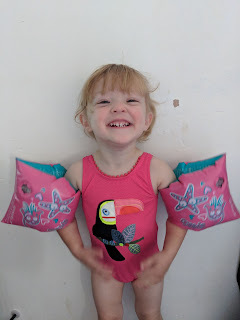 When we tried them on her they look really comfy and as they are a softer feel they weren't scratching or digging into her arms, we left them on for a while to see how she felt in them, they definitely got Eryn's seal of approval as she cried when it was time to take them off. The boys are sorted as they both have some swimming shorts, I on the other hand needed a new swimming costume. 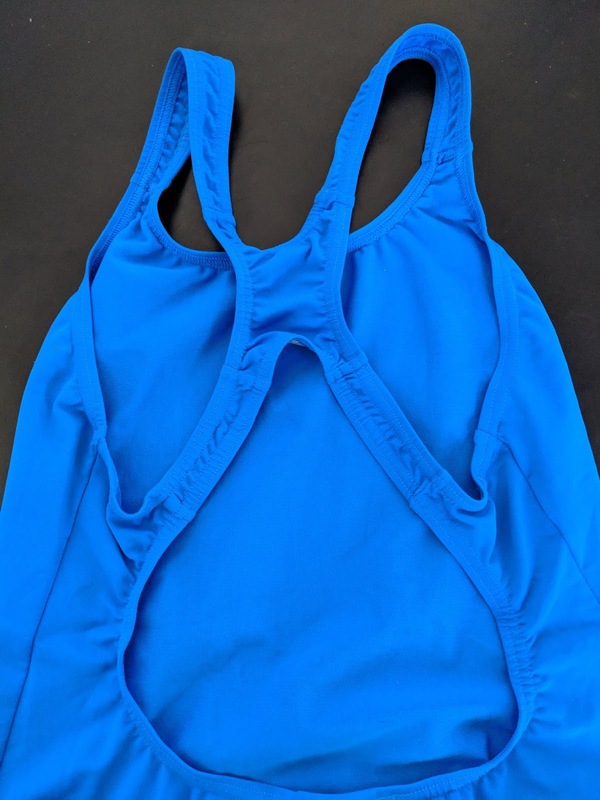 They have a great selection on Simply Swim Uk, costumes that shape you, costumes with built in cups, plus size, competition and so many more. I wanted a simple swimming costume and although some of the costumes had amazing patterns on I opted for a plain blue one by Speedo. 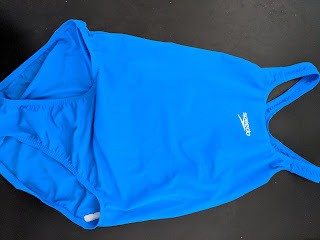 This particular swimming costume has SPF 50+ UV resistance, which I didn't even know was a thing. I found Simply Swim Uk really easy to navigate and with the many filtering options it makes it so much easier to find exactly what it is you are looking for. I particularly liked how they have something to cover every budget which is something I often find hard to find when shopping online for swimwear. I would use this website in future as like I mentioned I really like the way it's so easy to find what you are wanting. **Please note we were given credit to purchase the items via Simply Swim Uk, this in no way affects our views on the products or the website. All opinions are a true representation of what we think.